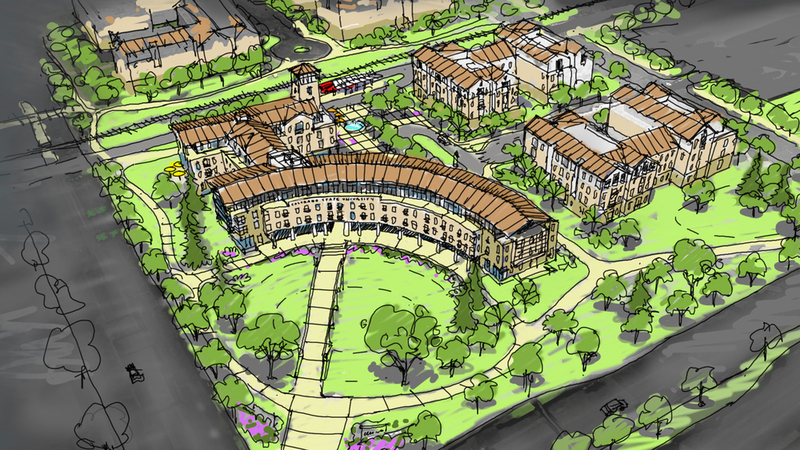 When Colorado State University proposed a new campus gateway, we imagined a broad crescent building fronted by a meadow that doubles as a water retention basin. The crescent, including a campus welcome center, and the university beyond, is symbolically approached over a low bridge and through a wide gate in the building. A pedestrian plaza beyond includes a station along the Mason Street transit corridor and is surrounded with student housing. Randy was the project designer for this concept while he was with RB+B Architects.